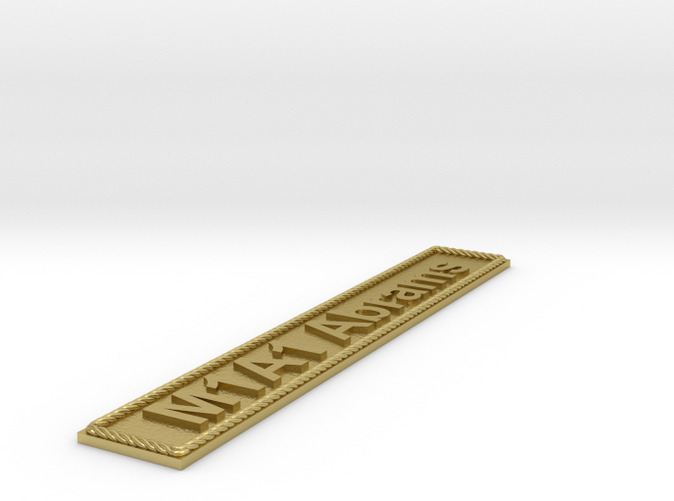 Nameplate reads "M1A1 Abrams" in Arial font with decorative rope border. Other names (including aircraft and ships), fonts, resizing and personalized text are possible. Click "CHOOSE A MATERIAL" icon at top right to see specific material renderings and prices. © Model Monkey Book and Hobby. This 3D-printed item may not be copied or recast.